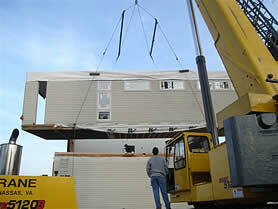 The company provides construction consulting services to discerning homebuyers interested in building a Wieler home. The company consults with its clients, assisting them with the process of constructing their Wieler home design. The Wieler team brings the experience of having built numerous architect-designed modern homes around the country as a general contractor, and the experience of a real estate developer. Having personally experienced the trials and tribulations of building his own home, the original Dwell Home, owner Nathan Wieler, is particularly sensitive to the homeowners who want to build something different on a budget. Therefore, Wieler has developed a product that gives homebuyers access to world renowned architecture at an affordable price. near the Chesapeake Bay in Maryland.